A creamy cheesy spinach dip & cayenne flavoured kaloo chips. A rich luscious pumpkin soup infused with herbs and served with homemade salted garlic bread. 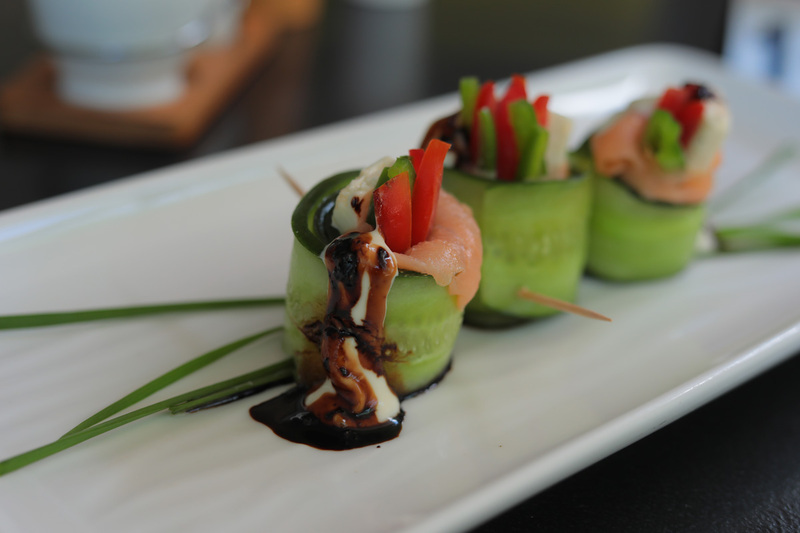 An assortment of crunchy fresh vegetables and smoked salmon wrapped in ribbons of cucumber served with an herbed mayonnaise. 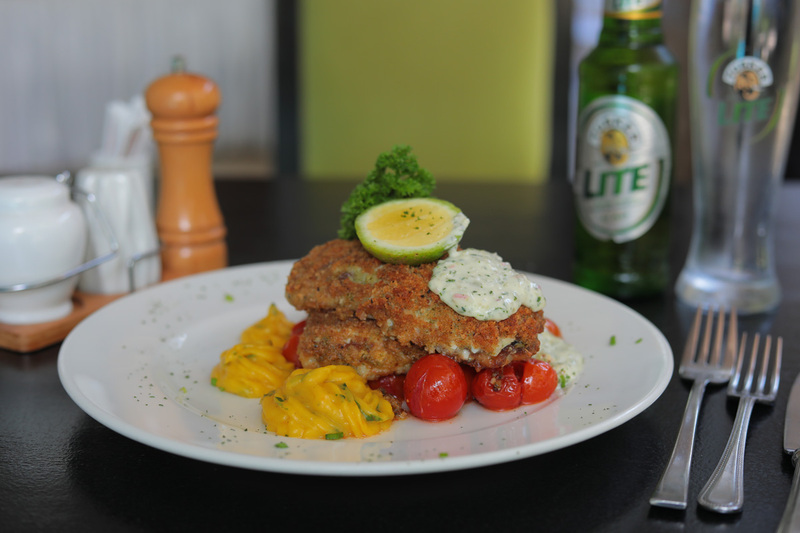 Accompanied with roasted cherry tomatoes & butternut puree. 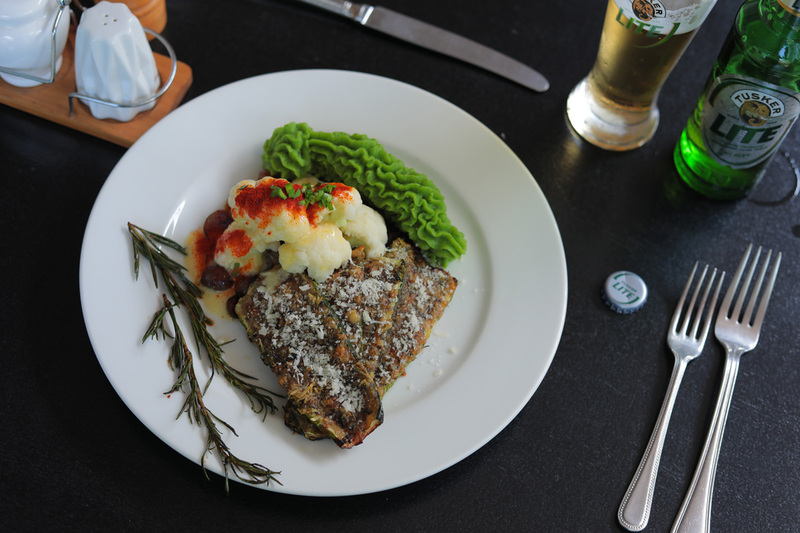 A medley of parmesan roasted courgettes,caramelized shallots and steamed cauliflower served with a minted pea puree and a smoked paprika hollandaise sauce. 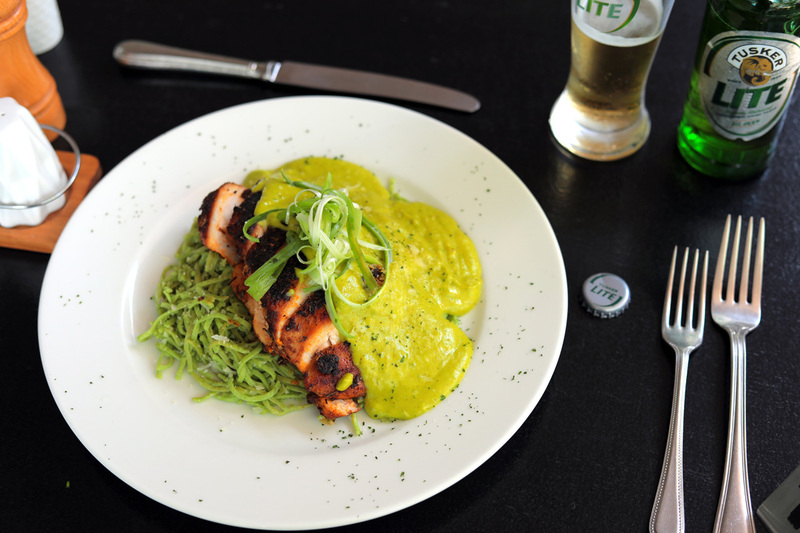 Cafe mamba blackened chicken breast served on a bed of city blue dodo flavoured tagliolini topped with a creamy lemon avocado sauce.